Join Cynthia at SOAS University of London to talk feminists, resistance and scholarship in Trumpist America. This seminar will examine how different groups of US feminists – activists and scholars – are making sense of the multiple, often reinforcing challenges of the Trump presidency including the opportunities for transnational feminist alliances. Cynthia Enloe is Research Professor in the Department of International Development, Community, and Environment, affiliations with Women’s and Gender Studies and Political Science, all at Clark University in Worcester, Massachusetts. 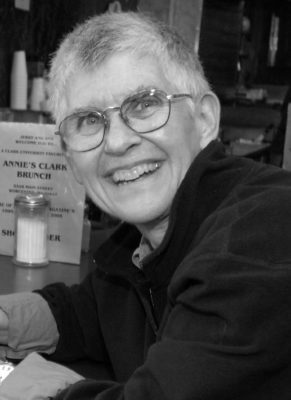 Cynthia Enloe’s career has included Fulbrights in Malaysia and Guyana, guest professorships in Japan, Britain, Canada, Australia, and New Zealand, as well as lectures in Sweden, Norway, Iceland, Germany, Portugal, Chile, Vietnam, Korea, Colombia, Bosnia, Turkey, Brazil, and at universities around the U.S. Professor Enloe’s fifteen books include Maneuvers: The International Politics of Militarizing Women’s Lives (2000), The Curious Feminist (2004) and Nimo’s War, Emma’s War: Making Feminist Sense of the Iraq War (2010), The Real State of America: Mapping the Myths and Truths about the United States (co-authored with Joni Seager) (2011, revised 2014). Enloe’s thoroughly updated and revised 2nd edition of Bananas, Beaches and Bases was published by University of California Press, 2014. Her new, updated edition of Globalization and Militarism: Feminists Make the Linkwas published in 2016. Her latest work is The Big Push: Exposing and Challenging Persistent Patriarchy (Myriad, UK, and University of California Press, US, 2017).